A group of environmental and social justice films are part of the BIFF Call 2 Action program – films with a message that move filmgoers to learn more and take actions to make a difference. These films are paired with local groups and followed up with an after film discussion that often includes the film makers. You can find a full listing of Call 2 Action films here. Take in a few films, use your ticket stubs for access to the ‘Filmmakers Lounge’ on the west side of the Lazy Dog and participate in a real local community film festival. And yes, they even have a student rate and senior rate for most films. Here is a sampling of a few must see films. Saturday, Feb. 18, 10 am at Boulder High School is Patriocracy – discussion with the filmmaker will follow at Boulder High. Congressman Jared Polis will introduce the film. As the U.S. enters the 2012 election season, political polarization will reach historic levels, creating the most expensive and ugly election season in American history. Boulder voted on its own ‘Corporate Personhood’ issue – are we ahead of the country? Watch the trailer. Saturday, Feb. 18, 5 pm at Boulder High is The Big Fix – discussion follows at Boulder High. While working on “the Big Fix” on the Gulf beaches supposedly cleaned up by BP, filmmakers Rebecca Harrell Tickell and her husband Josh uncover a vast network of corruption. A carbon free future sounds pretty darn good after watching this film. View the trailer. Sunday, Feb. 19, 10 am at Boulder Theatre is The Island President – discussion follows at the Tent in front of the Courthouse. This film follows the struggles of the island paradise of Maldives, whose beaches are vanishing due to rising oceans, as its president argues for carbon limitations at the United Nations. Taking on India, China and the USA is not for the faint of heart and President Nasheed has a wonderful way about making the case of the small island nations. He is in the news so come to the film and learn about his struggles. View the trailer. 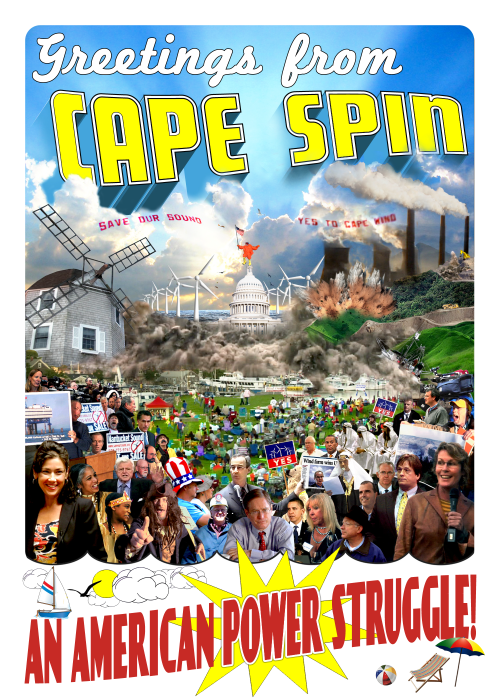 Sunday, Feb. 19, 12:30 pm at Boulder High School is Cape Spin: An American Power Struggle – discussion follows at Boulder High. It’s classic NIMBY vs. Greens as residents of Martha’s Vineyard fight for and against construction of huge wind turbines in Nantucket Sound. Wow – and we thought Boulder’s recent municipalization election was expensive and contentious. View the trailer. Sunday, Feb. 19, 6:30 pm doors open for the closing ceremony a a multi-year record of the world’s changing glaciers. This is such a beautiful film you will dream in the colors of the ice! Learn about the making of Chasing Ice. Saturday, Feb. 18, 5 pm at the Boulder Public Library there is a FREE screening of Chasing Ice for students age 13 – 18.